I didn't mean to make the Black and White. Really. I don't even like them. 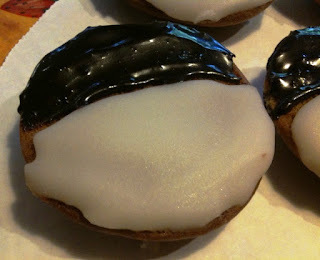 The Black and White, a New York native cake disguised as a cookie, enjoyed its 15 minutes of national fame in 1994 when it was featured in a Seinfeld episode as a metaphor for racial harmony. If it were named today, it would probably called the Diversity. Anyway, how I came to make these went like this. 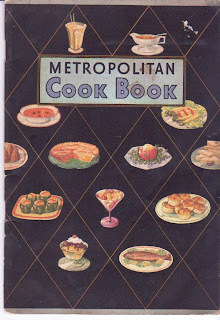 Last week, I bought a Metropolitan Cook Book pamphlet at an antique store in Copley, Ohio. 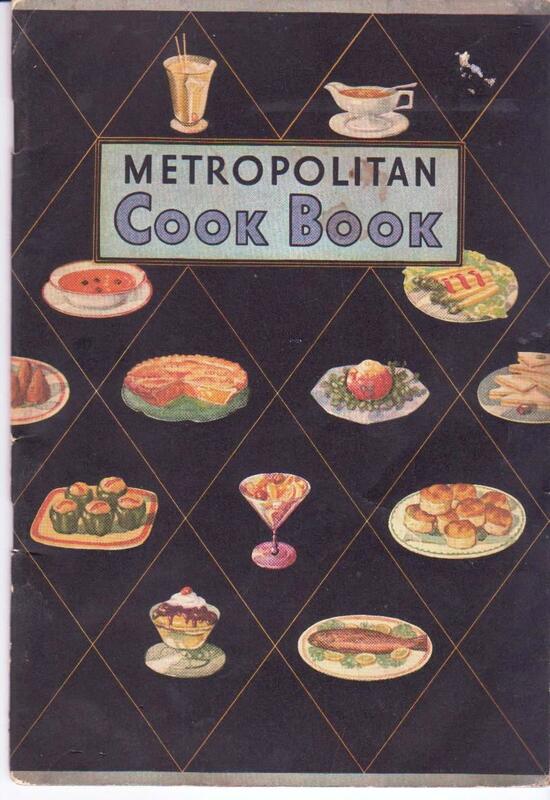 The beauty of this book, besides the gorgeous cover (below), is that it contains several hand-written recipes. One of them, Brown Sugar Cookies, looked pretty good, despite the fact that the recipe was just a list of ingredients, with no method (i.e., instructions). I figured I had enough baking experience to make these work. But early on, I realized that these were not cookies, but really small cakes. The addition of a cup of buttermilk (odd for a cookie recipe to have to have so much liquid) was the first clue. Then, when they baked and rose in the center, I knew for sure. And any doubt I harbored vanished when I examined (and ate) the finished product. Definitely a cake. So I did what any enterprising baker would do. 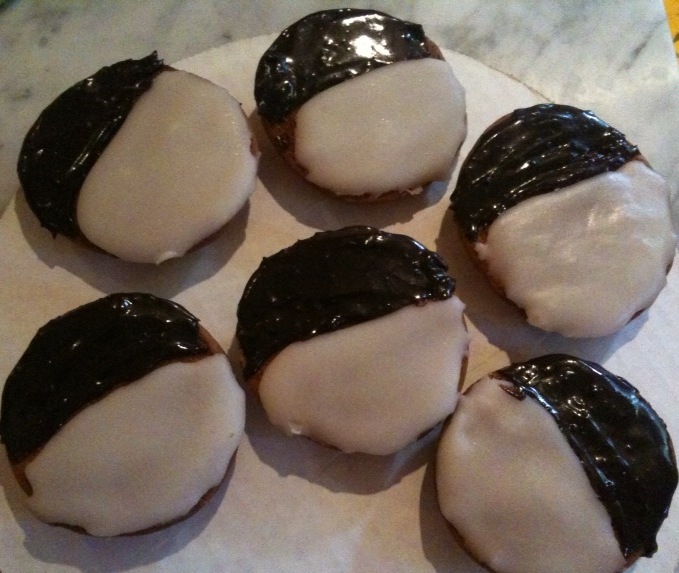 Flipped them over, and frosted the bottoms (which then become the top), half black and half white. Years ago, I had done some picture research for Arthur Schwartz's New York City Food and remembered reading about the Black and White. Arthur noted that it was a cake, not a cookie, and put forth a theory that they were invented by a baker at the beginning of the 20th century who was looking for another use for his yellow cake batter. 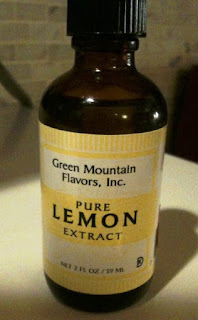 The recipe in Arthur's book is much more complex than the one I used (above), but it is interesting that both are flavored with vanilla and lemon. I used his frosting recipe which I can't give here because of copyright laws, but you should consider buying his book for this and other recipes, lore, history and more. It's a cookie, no it's a cake! Who knew? Love the Seinfeld reference and the pamphlet design, too. Yum! yum yum yum -- thank you -- for the flip it over eureka -- i wish my brain worked like that. Copley! Ha! I'm lurking around Hinckley right now. I'm going to the Hartville Flea Market on Monday; if I see any good cake books I'll get them for you!